Wonder Woman is the movie of the summer. Hands down. 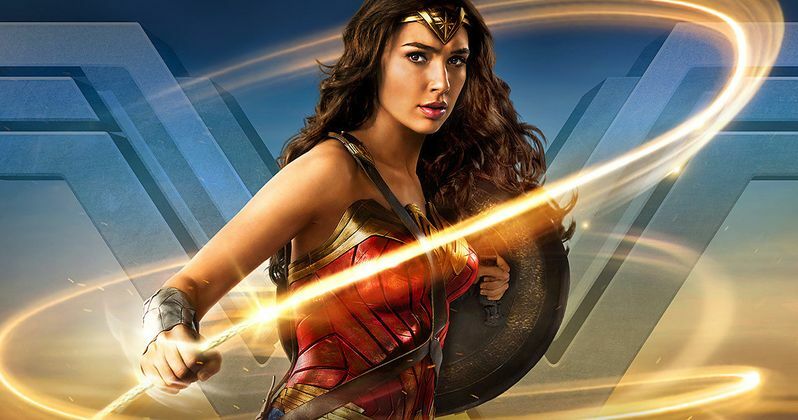 The comic book adventure had a lot to prove, not only for Warner Bros.' and the DC Extended Universe, but it also had to shoulder the weight of proving that a female-led superhero movie in the modern era can work and that a female director can do a blockbuster just as well, if not better, than her male counterparts. Wonder Woman has more than proved that, as it has just become one of the top 20 highest-grossing movies ever. According to Forbes, Wonder Woman added another $445,000 to its domestic total over the Labor Day weekend. After Monday's box office is factored in, the movie will have brought in $409.5 million domestically. That is going to push it past Iron Man 3 ($409 million) to make it the 20th highest-grossing movie domestically. In terms of other superhero movies, Wonder Woman has rocketed past the competition as well. With this weekend's box office factored in, it is now the fifth biggest superhero movie ever in North America. Wonder Woman just passed Captain America: Civil War and is trailing only The Avengers, Avengers: Age of Ultron, The Dark Knight and The Dark Knight Rises.Wonder Woman is also, by far, the highest-grossing DCEU movie domestically, with Batman V Superman: Dawn of Justice ($330 million) nowhere near it. Looking at the worldwide picture, Wonder Woman hasn't quite been as popular overseas as some other superhero movies, but it has still done incredibly well. With $813.2 million total box office, Wonder Woman is currently the 65th highest-grossing movie all-time, right behind Fantastic Beasts and Where to Find Them ($814 million), a number that Wonder Woman will very likely pass in the next week or so. As far as 2017 goes, the only movie that has made more money domestically is Disney's live-action Beauty and the Beast, which brought in a truly staggering $504 million earlier this year. Patty Jenkins has not yet finalized her deal to return to the director's chair for Wonder Woman 2, but it is all but guaranteed she will. It is said that her deal is going to make her the highest-paid female director of all-time. As evidenced by the success the first movie is enjoying, she deserves it. Warner Bros. only locked her down for a one-picture-deal initially for Wonder Woman, which is going to cost them quite a bit of money, but it is also going to ensure that Jenkins gets the deal she deserves. The studio has already locked down a December 13, 2019, release date for Wonder Woman 2, which will very likely be another monster hit. The demand is certainly there for female-driven stories. Now, Warner Bros. can turn their attention to the Oscar campaign they are going to run for Wonder Woman. Who knows? Maybe we'll see the movie make even more history with a Best Picture nomination. It's hard to rule anything out at this point.